Tesla had so many ideas that he couldn't make every one of them commercially successful. He was always EXPLORING for new ideas and he looked at himself as a lifelong student. 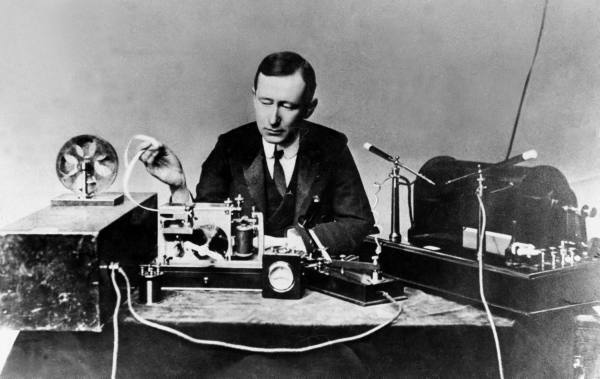 Because he was so busy he ended up EXCHANGING ideas with other inventors like x-ray inventor Wilhelm Roentgen and radio inventor Guglielmo Marconi. This illustrates that technology is usually the product of multiple inventors all working together and EXCHANGING ideas. — Personal student interview with William H. Terbo, grand-nephew and only living relative of Tesla. "It also seems that (Tesla) produced the first x-ray image in the United States... Later, Tesla managed to obtain images of the human body, which he called shadowgraphs. Tesla sent his images to Wilhelm Conrad Roentgen shortly after Roentgen published his discovery on November 8, 1895. Although Tesla gave Roentgen full credit for the finding, Roentgen congratulated Tesla on his sophisticated images, wondering how he had achieved such impressive results." During the prime of his life he exchanged those for money and fame. And he exchanged ideas and discoveries with other scientists. For example, he and Roentgen corresponded about Tesla’s work with “shadowgraphs” and Roentgen’s with x-rays – the same phenomenon! —Jane Alcorn, President of the Tesla Science Center at Wardenclyffe. "I remember [Marconi] when he was coming to me asking me to explain the function of my transformer for transmissions of power to great distances." —Nikola Tesla quoted from Wizard: The Life and Times of Nikola Tesla. Biography of a Genius by Marc Seifer.